Blog | Hurtwood Fire | Fire safety support for business. #Woburn #Safari Park fire kills 13 monkeys – I’m sad to announce this news report. One questions their fire safety management structure and whether it was sufficient and robust enough to avoid such an accident. Given that the structures that animals are often kept in are of timber construction and the electrical wiring is exposed more than normal to the elements, the fire detection systems should match the risk. I, unfortunately some may say, place animals and their general welfare high up there with humans and when assessing fire risks to animals consider and advise clients the real fire risk to the animals and the potential for them being trapped given the type, size and nature of the animal. RIBA call for Re-Introduction of fire certificates!! I suppose it to come around at some point and conveniently published when the Metropolitan Police pusblish the final death toll figures! 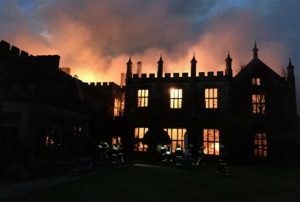 The global representative body of architects, RIBA (Royal Institute of British Architects) has put forward ideas and suggestions that ‘Mandatory’ fire certificates should be introduced for desiginated premises AND that they should be issued, following inspections by the local Fire Authorities! They suggest repeal of The Regulatory Reform (Fire Safety) Order 2005 amongst many other matters! It’s not often that a report is received about a dangerous event that’s about to happen and little that can be done to avoid it but these are extreme circumstances! The Texas Floodings created by Hurricane Harvey is creating just that at the Arkema Chemical Plant in Texas, USA. In anticipation of the hurricane the chemical plant shut down its operation and placed the site into a relative ‘safe-mode’. But the extreme flooding has not only resulted in the plant losing their electrical power that provides cooling to some of their unstable chemicals but it has also disabled their back-up generators. The plant produces, amonsgt other things Organic Peroxides used in a wide range of products from the construction industry to pharmaceuticals. The production and storage processes create heat which has to be cooled and its this function that’s failing! Some organic peroxides are dangerously reactive. They can decompose very rapidly or explosively if they are exposed to only slight heat, friction, mechanical shock or contamination with incompatible materials. Organic peroxides are useful as initiators for some types of polymerisation, such as the epoxy resins used in glass-reinforced plastics. MEKP and benzoyl peroxideare commonly used for this purpose. The CEO of Arkema Chemicals, Richard Rowe has stated that an explosion and fire of substantial magnitude is very likely. 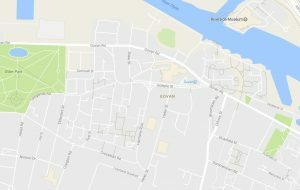 Local residents and flight control centres have all been advised and an exclusion area of about a 2 mile diameter is being put in place. Fire and Rescue services will severely restricted in taking any action due the flooded conditions and small scale environmental damage is likely. 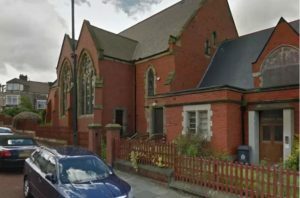 Whitley Bay Trinity United Reform Church fire destroys church. Tyne & Wear Fire & Rescue Service battled all night in an attempt save the derelict Trinity United Reform Church on the Esplanade in Whitley Bay from fire but the whole building was fully ablaze and were succumbed by the speed and ferocity of the fire. The church became unoccupied in 2008 and as with a lot of derelict buildings squatters and vandals can end-up occupying these these buildings. Old churches generally fall into the lower fire risk category of but when a fire does take hold, often from electrical failures, fire can spread rapidly within the old a readily available dry timbers typically found in the structure of the building. Very few churches have or necessary need fire detection and fire alarm systems to provide early alert and accordingly if a fire occurs it is able to establish itself unnoticed and very quickly before there are any external indications of a fire; by then the fire will have taken hold. This then becomes a challenging fire for the fire crews; with a risk of falling masonry and timbers crashing onto firefighters a defensive firefighting mode is often adopted and the fire is fought from the outside. This tactic though prevents the fire crews from reaching the heart of the fire or other areas as the fire is protected from the water jets by the remaining building walls and floors. Then, when the building has almost burnt-out can the final areas of hot pockets of fire be extinguished with the use of turntable ladders or hydraulic platforms. You will notice fire crews reversing their fire appliances out of the way as the risk of building collapse and fire spread is high. This may also be to allow high level firefighting equipment mentioned above from reaching the blaze. Late Saturday night Staffordshire Fire & Rescue attended a fire in Ashby Road, Tamworth to Standon House a three storey residential care home. All 25 residents were evacuated but two were left with serious injuries and a further 6 taken to hospital for further investigations likely to be the effects of smoke inhalation. The photos indicate that the fire may well have originated on the ground floor spreading to the first floor very quickly. Care homes are inherently high risk due to the large number and vulnerability of the residents in one building. Early fire detection is necessary and a high standard of fire compartmentation is of significant importance to contain the fire. This allows staff to initially remove residents from their rooms within, typically a corridor, to a temporary safe location within the building, often on the same floor level, and then move them further on to an ultimate place of safety outside. A quick review is then completed to assess if more should be evacuated. Equally important is a strict and robust fire evacuation plan that all staff practice and understand. 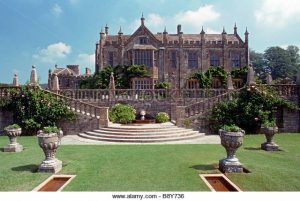 In the early of hours of this morning (Saturday 15th April 2017) Dorset and Wiltshire Fire and Rescue Service attended a fire at Parnham House, a 16th Elizabethan Mansion and one of the finest in Dorset if not in the country. On their arrival at approximately 0425 hrs a well-established and substantial fire was in progress which eventually resulted in 20 fire appliances attending. Firefighting operations and damping down are likely to continue throughout the day. Fire investigation will clearly be high on their agenda now as the building may well be more accessible to investigators. The blaze has almost destroyed the whole main building. No persons were injured and all occupants escaped safely. 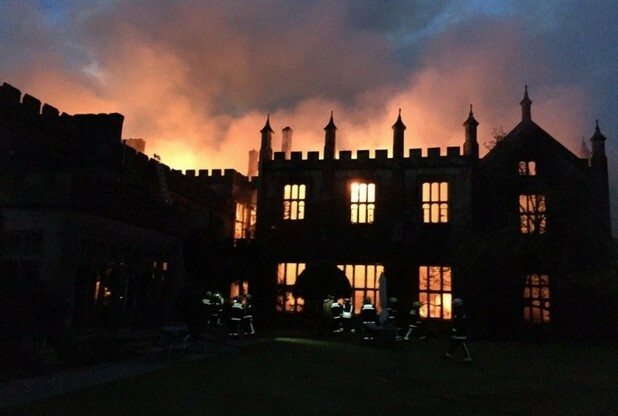 This is yet another serious fire in a classic and highly important Grade 1 listed building and questions will be asked exactly how it happened and how the fire was not detected earlier and contained. Fire protection in old and historic properties is a highly specialised area of work and in addition a costly process. All of the general fire safety principles applied in today’s modern structures cannot, in principle, be applied and it would be both impracticable and uneconomic to even consider changing the building to meet these standards, let alone destroy the character and history of the building. Often, discreet and specially prepared fire protection materials and applications are applied to retain original features in attempt to initially contain the fire. Highly advanced smoke and fire detection systems that continually monitor the air and observe temperature rises are available and can be fitted. In addition, fire suppression systems that disperse very high-pressure mists and sprays using very small quantities of water are also available; these often suppress and contain the fire whilst awaiting the attendance of fire crews to take over an extinguish the fire. However, these advanced and technical facilities all come at a cost in selecting the best and most appropriate equipment for the building and then designing it for the building and installing it. And of course, the work and costs in maintaining it once in place. 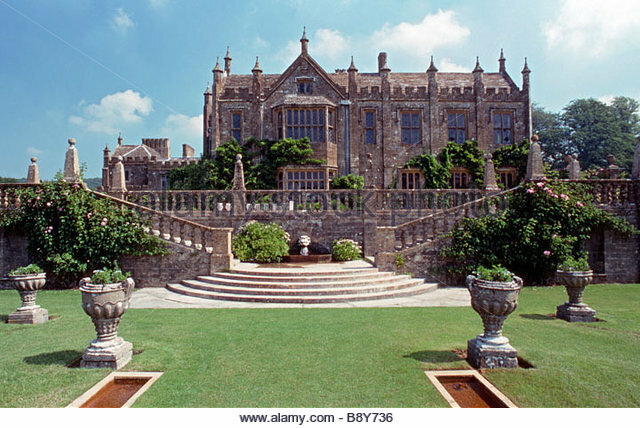 All of this has to be agreed beforehand with English Heritage and the fire service, amongst others, which can often be something of a stumbling block between what is deemed to be suitable for fire protection and at the same time maintaining the look, image and character of building. Police initiated a major incident in Purfleet, Essex last night as five lorries carrying 45,000 litres of petroleum and diesel were involved in a fire on an industrial estate in Botany Way. Essex Fire & Rescue attended the incident which started at around 2145 hrs Wednesday night at Botany Way. Not only extinguishing the fire but containing the resultant firefighting water run-off was one of many challenges the fire service had. Preventing the contaminated water entering the drainage and water systems is of paramount importance to prevent any long term damaging environmental effects on the local water system, mainly the River Thames nearby. Two residents die in care home fire in Cheshunt…. 33 people have been rescued but unfortunately two died in a serious fire in a residential care home fire in Cheshunt, in Hertfordshire. Three others are suffering from other injuries believed to be smoke inhalation. The fire service attended early Saturday morning at approximately 0600 hrs and discovered Newgrange Residential Care home well alight and were immediately confronted with multiple rescues. Eventually 12 fire appliances were in attendance as fire spread through the roof voids. 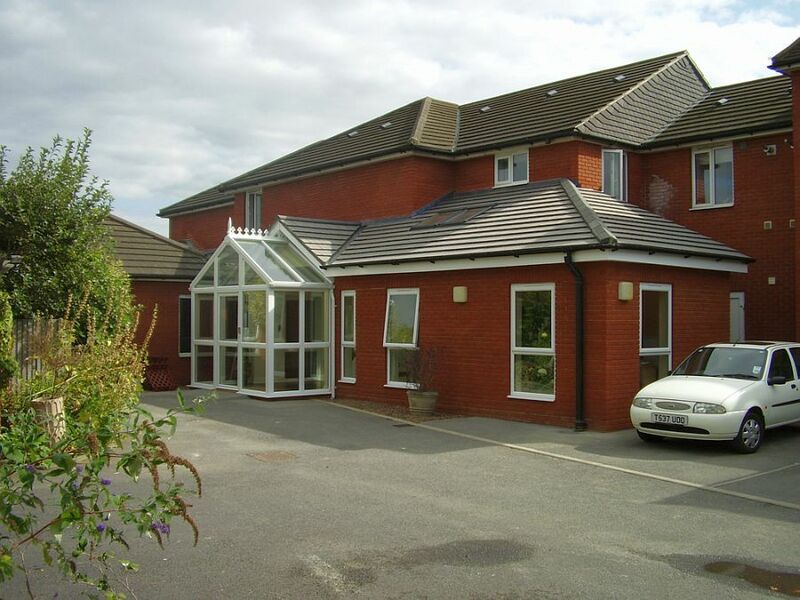 Fire precautions are very stringent in care homes and the detection systems should identify very quickly a fire and structured investigations by staff and evacuation procedures should follow. Often, an initial horizontal evacuation strategy is adopted to remove all residents in immediate danger this is then followed by an attempt to fight the fire or alternatively contain the fire whilst further evacuation takes place. 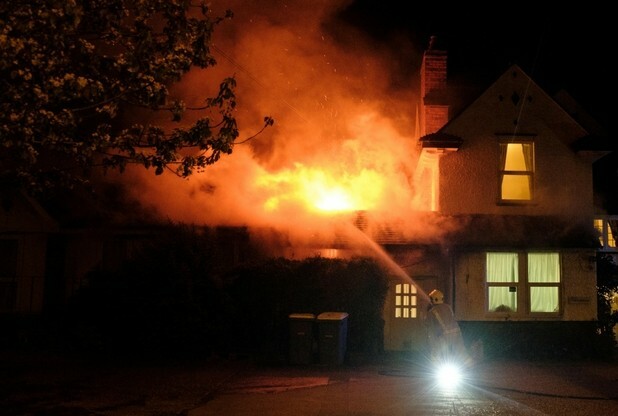 The principle being to restrict the fire to the room of origin and contain it there for the fire service to extinguish. The building design appears to be modern and it would be expected that the passive and active fire safety precautions provided would be robust and current. How the fire spread so rapidly and affected so many is a mystery but investigations will reveal exactly what happened. Under the shadows of the iconic Burj Khalifa tower, the tallest building in the world, yet another fire engulfs another high-rise building in Dubai; in this case it is building that is under construction. Sited in downtown Dubai the massive fire erupted at 6.30 am near the Burj Khalifa Shopping Mall. The fire is well developed and is likely to continue to spread further due to the open and unprotected areas under construction despite reports that the fire crews have the fire under control. The massive inferno erupted at around 6.30am; the building was heavily damaged by fire in 2015. Three workers were rescued by initial fire crews attending the scene. The fire and explosion, which can be seen on the video, was substantial but is believed to be an accident. The person that lit the fire was thrown several feet and ignited debris was thrown amongst the crowd. There were a range of injuries and a mother and her child were among the worst casualties but none are believed to be life-threatening. receive an ignition source supplied by the naked flame. Smoking or a naked flame could cause patients’ dressings or clothing to catch fire when being treated with paraffin-based emollient that is in contact with the dressing or clothing. A number of recent fatal incidents (6 in London) have been reported to the NHS England National Reporting and Learning System, in which a naked flame ignited emollient in contact with a patient’s dressings and clothing. When patients are being treated with a paraffin-based emollient product that is covered by a dressing or clothing, there is a danger that smoking or using a naked flame could cause dressings or clothing to catch fire. The risk is greater when these preparations are applied to large areas of the body, or when dressings or clothing become soaked with emollient. Fires in commercial properties that are attended by fire crews don’t always result in huge fines being imposed but following a fire at Cavell House, a two storey residential care home in Shoreham by Sea, fire safety inspecting officers were not impressed with what they saw. 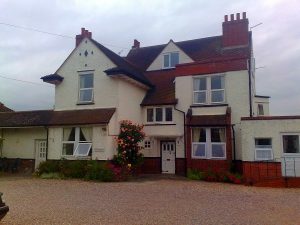 Orchard Care operate the home for 46 residents and a fire broke out in the kitchen in April 2014; following the fire the chef reported that there were a range of fire safety issues with the fire alarm and other items linked to the fire alarm. Repair work that was meant to have been completed within a short space of time and when West Sussex Fire & Rescue inspecting officers visited again they discovered that the residents remained at risk and came across other fire safety concerns in addition to the work that had not taken place. Fire authorities prefer to work with businesses in helping them to achieve fire safety compliance but the owners of Cavell House disregarded the advice, guidance and time scales that West Sussex Fire & Rescue imposed on the home to resolve the problems and they were forced to take enforcement action. The earlier hearing was at Worthing Magistrates Court but the sentencing at Chichester Crown Court was on Friday March 10th 2017 where the owners admitted the fire safety breaches. 25 people living in vacant office accommodation results in £17.5k fine! Mixing living accommodation with business premises can be done but it has to be correctly assessed in terms of providing an environment that is safe from the effects of fire anywhere on the premises. The process requires a degree of experience in fire safety and knowledge of building regulations, fire alarms systems and The Regulatory Reform (Fire Safety) Order 2005 amongst other subjects. However, the the owners of the office unit in Thames House, Ashford, Middlesex thought they knew enough until challenged by Inspecting Officers from Surrey Fire & Rescue. At #Redhill Magistrates Court, Zudong Liu one of the Directors of HJ Tenger Holdings Ltd, pleaded guilty to three charges under the fire safety order and was fined, including court costs, a little over £17,500.00. The offences related to a lack of fire detection, insufficient general fire precautions and blocked fire exit routes despite an order being issued by the fire service prohibiting sleeping on the premises. The property was vacant but it still remains the responsibility of the owner/person in control of the building to ensure that a fire risk assessment is completed; although the occupants were employees of a restaurant group, it remains that the fire safety order applied. adopt what is termed as ‘defensive’ firefighting strategy. Essentially, adopting firefighting action that places minimal risk on firefighters based on the risk and benefit i.e. as there are no persons involved (often referred to as ‘reported’ in fire service terms) the firefighting actions will concentrate on attempting to extinguishing the fire but not taking any specific risks. This will involve restricting the entry of fire crews into the building as not to put them at unnecessary risk. Fortunately the fire evacuation procedures were effective at this store and it is believed that everyone escaped with minimal injuries or effects of smoke inhalation, often an issue in fires for those who’s escape is delayed for whatever reason. Glasgow scrap yard fire produces huge amounts of smoke…. At around 4.30 pm today #Glasgow fire crews were called to Japanese Auto Parts on Helen Street in the #Govan area of #Glasgow and were confronted by a well established and substantial scrap yard fire involving a wide range of scrap motor vehicles and parts. It is imperative at fires on sites such as these that any suspected or confirmed fire is dealt with rapidly by local staff to prevent the very fast and almost uncontrollable spread to the remaining scrap materials. If the fire is allowed to take hold it spreads rapidly between the scrap that usually contains a wide range of combustible car parts such as upholstery, plastics, rubber, man-made mineral fibres (#MMMF’s http://tinyurl.com/znzyto6) typically found in aircraft. Then there are the oils, greases, diesel and petroleum deposits spread amongst the metal work. All of these products are produced in a fire and can be seen on the video footage shown as the dark, dense and fast rising plumes of smoke; both toxic and harmful to the environment. High Rise fire kills at least 10 people…..
A high rise fire in Nanchang in the Eastern Province of China has reportedly killed at least 10 people with many more injured suffering from smoke inhalation and burns. China’s fire safety record is notoriously poor and it is reported that the fire originated in an area where there were contractors working. The police are believed to have arrested several workers already. As can be seen from the film footage the fire has spread rapidly over many floors with dense smoke emitting from several floors. Flames spreading upwards, likely assisted by wind turbulence from the weather and those naturally created by tall buildings, then continues to envelop other levels. As discovered in the Middle East following several high profile high-rise fires, it is likely that the fire spread may also have been assisted by surface finishes and cladding that were not flame retardant. London Fire Brigade pushes for greater safety in ‘white goods’ that start fires! The LFB (London Fire Brigade) reports that there is one fire per day in London that involves white goods i.e. fridge, freezers, dishwashers, tumble dryers and alike and they are making concerted efforts to reduce this. This isn’t human error but often defects in the appliances. These problems can go unnoticed for years but by compiling a register hopefully manufacturers will take note. In particular one of their drives is to replace the use of flammable plastic materials that are often used as backings on the rear of fridges/freezers with either metal or fire retardant materials. SEE FILM FOOTAGE BELOW OF THE SPEED AT WHICH NON-FIRE RETARDANT PLASTICS CAN BURN. Fire Safety Concern – Lamborghini recall 1400 of their Aventador super-cars!! Lamborghini is recalling more than 1400 of their super car Avendador’s due to fire safety concerns. It is reported that these units can be fire hazards under certain situations, the vehicles include their super limited edition Superveloce and super rare Veino. So, if you own one get it checked out and possibly restrict the revs, speed, hot weather conditions, races or being close to a dry field; alternatively buy a Aston Martin!